Custer, SD – “The Oldest City in the Black Hills.” Just 7 miles from the trail head to Harney Peak, Custer, SD provides a central location for Black Hills vacations. 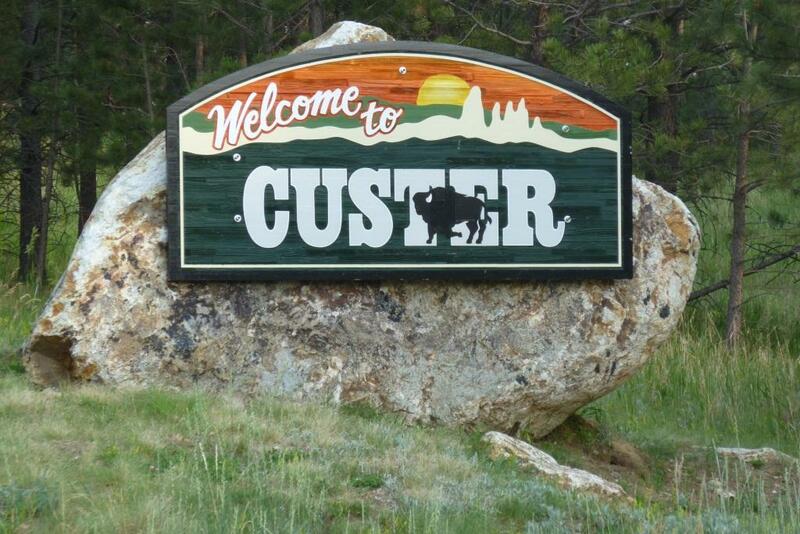 Cabins, hotels, and shopping are available in Custer, SD. Hill City, SD – “The Heart of the Black Hills.” Hill City, SD offers shopping, restaurants, cabins and hotels only nine miles from the Harney Peak trailhead. Keystone, SD – “Home of Mt. Rushmore” A popular Black Hills vacation destination, Keystone, SD is just 2 miles from Mt. Rushmore, and 18 miles driving distance to Harney Peak. Keystone, SD offers shopping, restaurants, cabins and hotels. Rapid City, SD – “Real. America. Up Close.” The gateway to the Black Hills, Rapid City, SD, offers a regional airport, and shopping, lodging, and dining with access to a Black Hills vacation destinations.